HOLIDAY SPECIAL! WELCOME TO THIS HIGHLY SOUGHT AFTER GEDDES LAKE 3 BEDROOM 2 AND A HALF BATH CONDO BACKING TO WOODS OFFERING PRIVACY AND NATURE ABOUND. 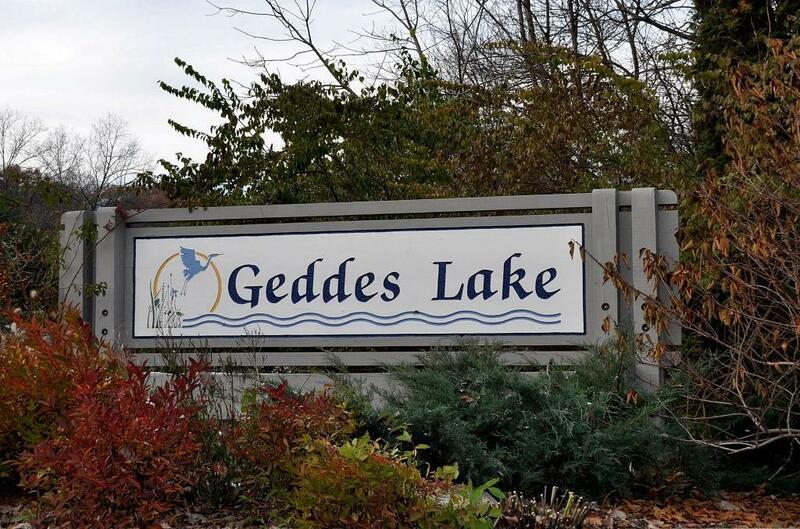 GEDDES LAKE OFFERS YOU A WONDERFUL COMMUNITY FOR ANY LIFESTYLE. YOU MAY ENJOY A SWIMMING POOL, CLUB HOUSE FOR ENTERTAINING, TENNIS COURTS, WALKING TRAILS AND PONDS. GREAT ROOM WITH PANORAMIC VIEWS LEADS TO PRIVATE PATIO. CALIFORNIA DINING ROOM. GALLEY KITCHEN OFFERING ALL APPLIANCES INCLUDING WASHER AND DRYER. THE UPPER LEVEL FEATURES A SPACIOUS MASTER BEDROOM WITH 3 PIECE ENSUITE AND 2 LARGE WARDROBE CLOSETS, 2 ADDITIONAL BEDROOMS AND ANOTHER FULL BATH. YOU CAN ENJOY THE CONVENIENCE OF A FIRST FLOOR LAUNDRY AND MUD ROOM. A SPACIOUS UTILITY ROOM PROVIDES ADDITONAL STORAGE SPACE. AN ATTACHED GARAGE ALSO GRANTS YOU MORE STORAGE. ASSOCIATION DUES COVER SNOW AND TRASH REMOVAL, WATER, LAWN CARE AND EXTEROR MAINTENANCE. MOMENTS FROM SHOPPING, DINING, WORSHIP, SCHOOLS AND U of M HOSPITAL AND UNIVERSITY AND EXPRESSWAYS.